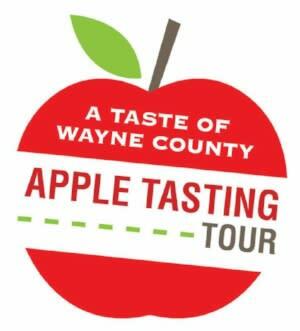 One new stop has been added this year: Wager’s Country Apple in Red Creek. Wager’s County Apple opened in 1976, and boasts a 100-acre farm full of apples, strawberries, peaches and sweet cherries. They also have an in-store bakery and barn sale. The Apple Shed also started a new cidery - Old Goat Cidery is now part of their Newark shop. Since the Tour’s initiation in 1997, three stops have remained consistent: Burnap’s Farm Market, Long Acre Farms and The Apple Shed. Burnap’s Farm Market is fun for the whole family, with chickens, goats, and a large farm market. Long Acre Farms is known for their Amazing Maize Maze and the Back 40 Adventure, as well as their homemade ice cream and JD Wine Cellars. The Apple Shed has a cider mill making fresh, homemade apple cider, a country café, and a corn slide for kids. Apple farming has been a way of life in Wayne County for centuries, and is home to several multi-generational farms. Two recognized Century Farms (100 years) -- Lagoner Farms and Orbaker’s Fruit Farm – are on the Tour and were established in 1909 and 1889, respectively.